Star Lord asked, and you delivered! 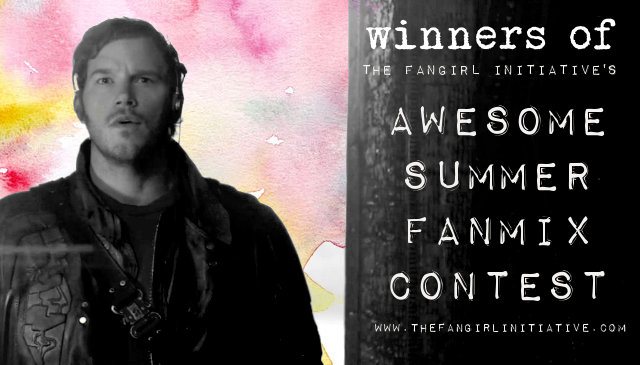 Thanks to all who entered our Awesome Summer Fanmix Contest! We loved your entries and had a lot of fun listening to them. Now it's time to announce the winners! If you're a first place winner or a runner-up, check your inboxes for an email about what you've won! Thanks again to all who entered, and congratulations to the winners! Special thanks to our judging panel: Amanda, Jaime, and Rica.